Does Bluehost Offer WordPress Hosting Specifically? Migrating a Site To Bluehost (and Transferable Installs): How Easy Is It? Bluehost Control Panel (Cpanel): Do They Offer One To Manage Your Hosting? Does Bluehost Offer Shared Hosting and Dedicated Servers? Does Bluehost Offer Email Hosting? Does Bluehost Offer Cloud Hosting? Does Bluehost Have a Satisfaction or Money-Back Guarantee? Bluehost Phone Number: Do You Get a Real Person? This is an in-depth and objective Bluehost Review, and I’ll cut to the chase. Bluehost is one of, if not the best web hosting company I have ever used. I designed my first website in 2003, and I’ve used other hosts before. Seriously, you don’t get to host over 2 million sites if you’re mediocre and unreliable. That said, no provider is perfect. In this article, we’ll have a thorough look at Bluehost’s pros, cons, real customer reviews, and answer the most frequently asked questions. Your website is an invaluable asset. Think of it as your virtual office. In some cases, it’s your own ATM, too. This is why you want to be extremely careful who you entrust it to. You want a company that has the infrastructure and resources to ensure your site is always up, loads fast, and is secure. Bluehost is that company. It’s a big brand owned by the largest web hosting company in the world, Endurance Corporation. Why is this important? A big organization has the resources to employ the best staff to work for them. The company was started in 1997 (that’s 21 years of being in business), and it employs 750 people who are devoted to ensuring peak performance. The company has the capital to buy state of the art servers, and employ network engineers, customer service representatives and anything else that helps them serve you. 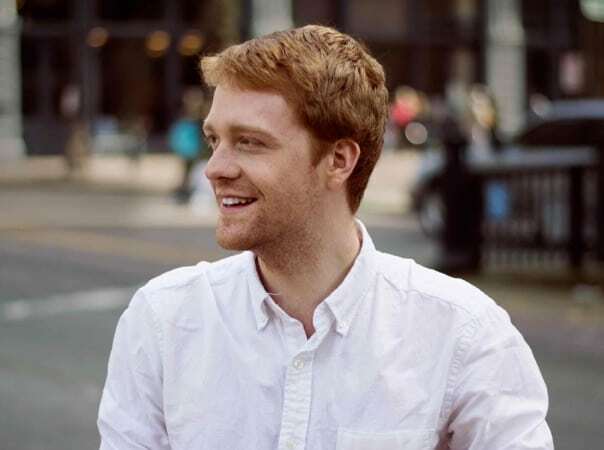 They’re not some small, unknown start-up that could disappear after taking your money. Customers agree that Bluehost performance is top-notch. Bluehost has fast and reliable servers, so you can be sure your website will load fast and will always be accessible. Its uptime is 99.99% (which is basically 100%). According to tests conducted by hostingfacts.com, this uptime is above the industry standard of 99.94%. 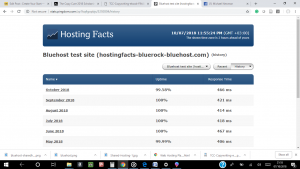 They declared Bluehost’s uptime best out of 34 hosts (the test was conducted over an 8 month period). This shows that Bluehost is the most reliable hosting service company. Its fast page loading is rated 3rd in the industry. So, you can go to sleep knowing that your WordPress site will be secure and accessible 24/7/365. Third, over 75 million websites use WordPress as their CMS of choice. In fact, Bluehost is the number one provider recommended by WordPress.org for WordPress hosting. They have recommended the company for the past 12 years and that says a lot. You can start enjoying a world-class hosting provider for just $2.95 per month (less than a Starbuck’s Frappuccino). Not only that, but you get a free domain name, in addition to all the standard features. Last year, there were about 184 million cyber attacks. That’s scary. Those incidents could happen to anybody and they can be devastating. Some attacks can cripple your business, if not completely destroy it. Bluehost works hard on providing dependable security for all the sites they host. It’s good to be proactive, so go with a company that cares. You’re probably wondering which the specific ways Bluehost protects your site through are. They include Spam fighting programs like Spam hammer, Spam Experts and Spam Assasin. They use CloudFlare to accelerate the speed of your site in addition to standing as a sentinel to prevent DDOS attacks to your site. What’s that? DDOS (Distributed Denial of Service) attacks try to overwhelm your server by sending a huge amount of fake traffic! They can be likened to a traffic jam which prevents genuine traffic from getting to its destination. There’s also hotlink protection: it protects your bandwidth and prevents your content from being copied. Every site is given an SSL certificate, ensuring security for visitors with one click. Isn’t that awesome? You can manage digital certificates and private keys as well as protect directories with passwords, and create blacklists for IP addresses. 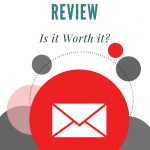 Many of us can’t imagine live without our Google apps. Bluehost makes it super easy to integrate Google apps and Cloudflare in the Cpanel. If you’d like to add e-commerce functions to your site, it’s also an option. You don’t have to Google tutorials for hours. Using Cpanel is very simple to navigate – it’s as simple as a click and type. Sooner or later, we all run into an issue we can’t solve by a 5-minute Google search. That’s when Bluehost’s tutorials and guides come to the rescue. If you’re still confused, pick up the phone and call their support team that’s available 24/7/365. You can test-drive the service for 30 days, and ask for a refund if you’re not satisfied. (Terms and conditions apply). So really, there’s no risk. Now that we’ve gone over all the pros of using Bluehost, let’s turn to the few shortcomings. Let’s face it – nobody’s perfect. Many customers complain that the company has a very aggressive way of trying to sell add-ons. These are additional services that you don’t necessarily need. While most other hosts offer migrations for free, Bluehost charges $149, and that covers only 5 sites and 20 email accounts. While customer support is always available, Hostingfacts.com reports that some of the reps lack an in-depth grasp of technical details. The cost of renewing free domains after the first year is a lot higher than the industry average. 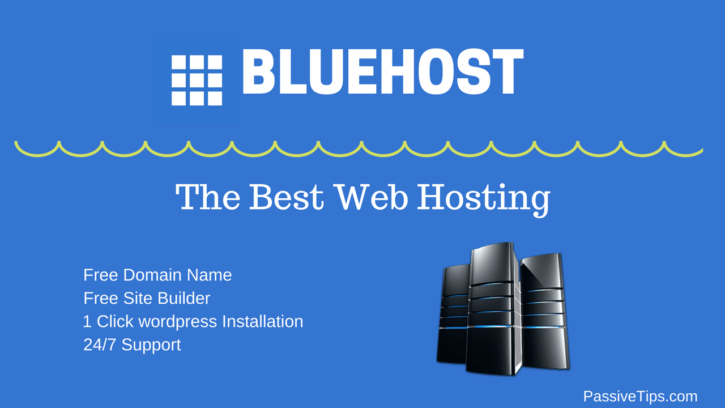 The industry average ranges from $9 to $13 per year, while Bluehost charges $15.99. We’ve selected some real reviews to help you decide whether to go with Bluehost or not. “Affiliate support is very slow and doesn’t respond quickly. Sometimes I send a message and get a response after a week. There are also some responses that come to justify this delay because they didn’t get my message. How did you not get my message and you respond? We’ve read what some users have said about the hosting company. Now, let’s look at some of the questions that are probably on your mind. Yes, it does. That’s why for the past 12 years WordPress.org has recommended it as one of the most reliable hosting provider companies. They have three hosting plans: Basic plan, Plus, and Choice Plus. You can use the Basic hosting plans to set up one website. Click here for details. 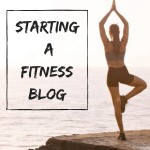 This is ideal if you’re just starting. 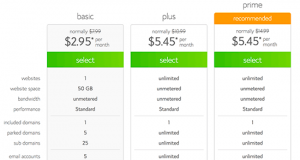 It offers 50GB space, a free domain name, and all the standard features you’d expect from a hosting company. The best part is that it’s just $7.99 per month, but you can get it for $2.95 per month. Bluehost offers one-click WordPress installations and dedicated WordPress support. Yes, you get a free “.com” domain name. In case you’re wondering what a name server is, I’ll explain. Name servers are provided by a hosting company and are the reason your site is visible online. Each website has an IP address, which is a unique identifier. Several domain names can point to the same IP address. The name server is part of the Domain Name System (DNS) and it converts a domain name into a form that a computer can read. Name servers are servers owned by a hosting company and are used for managing domain names. Click here to find out more about DNS services. It’s easy to migrate. There are two options. You could do it yourself (Find out more here). Or, you could pay $149 and they’ll migrate 5 sites and 20 emails for you. Yes, they do. All its hosting accounts have Cpanel, the industry-leading control panel. It’s easy to use even if you’re a beginner. This is the command center from which you’ll access and manage your account, back up sites, configure emails, install scripts, etc. It is easy to connect. You’d need to download an FTP program and also enable SSH Access. SSH means Secure Shell it’s a secure way of logging into and executive commands on remote machines. Learn how to do that here. Yes, they do. Temporary URLs are used when you’re migrating sites. They aid you in accessing your site before the Name Servers become fully operational. Here you’ll find guides to help you with any issues you may have. You can use staging environments for testing your sites before they go live or for making revisions to sites that are already live. They’re a separate area for developing your website and is often a subdomain. Click here to find out how to set up staging environments. Bluehost also has Mojo Marketplace where you can buy themes that make building a website a breeze. Yes, they do. You’ll find the full details here. No, they don’t. You’d have to do that manually. Find instructions here. Yes, they do. Click here to read more. In a two-month period, there was hardly any downtime or outage, and when it occurred it was for a brief period. See detailed stats here. Yes, they do. It comes free with the hosting package. Yes, they do. Both are for protecting your customer sensitive data such as credit card numbers, usernames, and passwords from malicious attacks. There’s the Site Backup Pro tool which can be used for backing up files, databases, email forwarders, email accounts, and filters. Daily, weekly, or monthly incremental backups are made, which you can download. There are two versions of the tool. The free version is available to all users. The Pro version naturally has more features and offers flexibility and convenience. You can buy it through the sales department or via your Upgrades tab. Yes, they do. Learn how to redirect your site. Yes, they support both. Learn to install and set up a multisite here. Yes, it does. Find details here. Yes, it does. You can find the details here. Cloud hosting is hosting on virtual servers on the Internet. Huge traffic can be handled easily and there’s better security. Naturally, it’s more expensive than shared hosting. Bluehost is highly secure. Click here to read the detailed instructions on what you can do to make your site more secure. There are three plans: Shared, VPS, and Dedicated. The second is for sites with moderate traffic and the last is for sites with high traffic. They offer shared hosting for starter websites. There are three plans, Basic, Plus, and Prime. 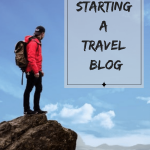 If you’re just starting a blog or website, you can get started with any, and upgrade later. Let’s look at each one. You can host one website. You’re allowed one domain and 25 subdomains, 50GB storage, and 5 emails of 100 storage each. The plan is $2.95 for the first term and $7.99 for the subsequent terms. You can host unlimited websites with unlimited space and bandwidth. You’ll also get unlimited email accounts. For the first term, you’ll pay $5.45, and subsequent terms $10.99. In addition to the features of Plus above, you’ll get SiteBackupPro and domain privacy (both are worth $80 per year). It starts at $5.45, but you’ll pay $14.99 when you renew. They have both so the choice is up to you. Annual plans tend to be cheaper. The Email in your Profile section is current (If you’ve forgotten it, just click Forgot Password, to get a reset email). 1. You’ve backed up all your databases, files, and emails. 2. You understand that DNS zone changes will no longer be available and that you’d need to renew your Bluehost web hosting or point your nameservers to another web host. 3. You understand that all websites and website files on your domain will be deleted. The refund covers only the Bluehost web hosting service and not add-ons such as domain names. If you cancel within thirty days and you had a free domain as part of your plan, it’s fee of $15.99 will be deducted from your refund. The fee is to cover the web host company’s costs and to protect you, the buyer so that you do not lose the domain. You can use it later with Bluehost or transfer it to another host. But, it’s important to note that domains cannot be transferred until after a 60 day registration period. There’s a devoted team of customer service and support staff to help you via live chat or by phone with any issue you have. Click here and here for details on Bluehost support. Call 009 1 801-765-9400 Yes, a real person would respond. If you prefer, you can use the live chat feature instead.